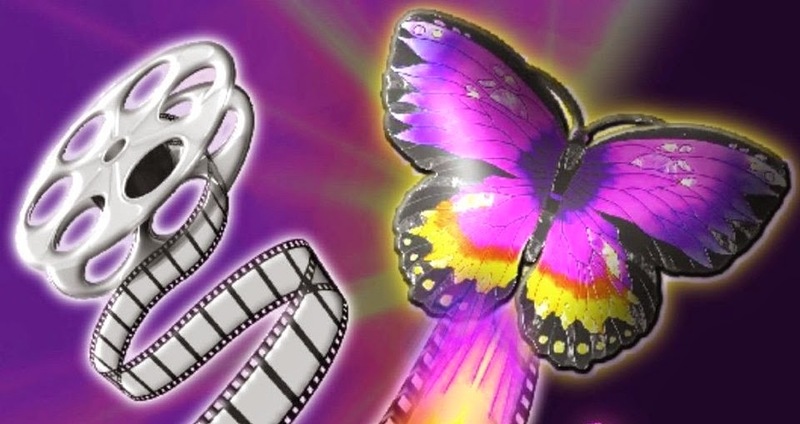 REEL TRANSFORMATION: A blog about Life, Love, Spirituality, Movies and other thoughts: this Spiritual Life is a neverending story of tranformation. I went and saw the film A MONSTER CALLS last night and something happened to me. Movies have a way of speaking to me and moving me, often in ways that have nothing to do with the subject matter of the film itself. 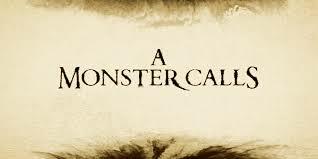 The monster that called in this film was a young boy’s mother’s illness and his need to deal with the feelings around his mother’s illness and dying. The monster that has been calling to me is something else entirely, and I’m pretty sure I’m not alone. This past election has brought forth a monster that needs to be addressed. No, the monster is not Trump. I’d like to make it be Trump. That would be easy, and I along with many others, have been trying to do exactly that….make Trump out to be the monster. Others made Hillary out to be the monster and now after the election that has probably shifted to her supporters. But the issue is a lot more complicated than who got elected or who didn’t. You see in the movie we discover that the real monster was the one that lived inside the boy….that needed a voice, needed to be expressed. The ‘monster’ that came to help him did so by telling him stories and it was those stories that reached inside my soul and spoke to me. Monster: There was once an invisible man who was growing tired of being not seen. It was not that he was actually invisible. It was just that people had become used to not seeing him. One day the invisible man couldn't stand it anymore. He kept wondering, "if no one sees you, are you really there at all?" One of the stories was about an invisible man who grew tired of not being seen. I believe Trump was elected by many who have felt invisible. I admit that many people who live in rural counties are not people I have connected with or even tried to understand. There are others who hold different beliefs than I do who have not felt supported. In the film the invisible man acted out with violence and rage in order to be seen and heard. We’ve seen lots of that in our country too. So how can we see these people in a way that they feel validated without their having to resort to violence or without our having to give up our civil rights? That is a question it would behoove all of us to ask ourselves. How can we sit down and have a civil conversation so that we might begin to understand each other? I believe we start by assuming that they aren’t horrible people. Anyone who believes differently than we do or voted differently than we did is not a horrible person. They have ideas and needs and voted in a way they hoped would help get those realized. There is no THEM and US. There is no GOOD guy and no BAD guy. Maybe even Trump isn’t a bad guy. I don’t like him, but I’m working to get to a point where I can see him differently. Maybe his supporters can help me get there. “Because humans are complicated beasts, the monster said. How can a queen be both a good witch and a bad witch? How can a prince be a murderer and a saviour? How can an apothecary be evil-tempered but right-thinking? How can a parson be wrong-thinking but good-hearted? How can invisible men make themselves more lonely by being seen? The tree monster also told a couple of stories about people that at first you thought were bad, and then as the story unfolded you realized perhaps there was more to the story than we saw at first. That’s the place I am trying to reach. I am tired of being angry. I am tired of being scared. I am tired of making Trump out to be this ogre or monster that is going to ruin my country. He’s going to be our president for 4 years and while I will always be wary and watchful that our civil rights don’t get stomped upon….I need to find a place of peace. So how do I, how do we begin? I don’t know that I have the answer yet, but I’m feeling a little more hopeful. It begins with Conscious Conversations. It begins by turning our EXCLAMATIONS into QUESTION MARKS. Rather than ranting and raving on Facebook….how about we start asking each other questions and listening to the responses. We may still disagree, but at least we can be civil with each other. So to all the Trump supporters out there I say TELL ME MORE….tell me what you see in this man that I am not seeing. Don’t yell at me or make me wrong and I’ll try not to do the same to you. After I listen to you, perhaps you might be willing to listen to me. We may not agree with each other, but we need to find a way to speak to each other. Our Congress hasn’t found a way yet, but maybe we can model the behavior for them. Speaking with civility doesn’t mean we have to lie down and accept everything. I am not talking about normalizing behavior that feels wrong or off for me. I will still march on the 21st. I will still call my Senators and Congressmen when I need to express my opinion. I will still speak out if I feel lies are being told and I may even still post those on Facebook. But for me, I need more. I need a shift to happen. There is a monster calling and that monster lives inside of all of us. It needs to be heard. Are we willing to listen and are we willing to speak our truth? 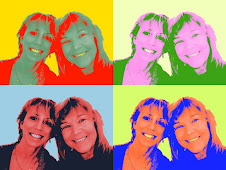 I want to be there…I’m working on it….how about you? Resistance is futile. I’ve been struggling with this idea for some time. Perhaps the Borg was onto something. 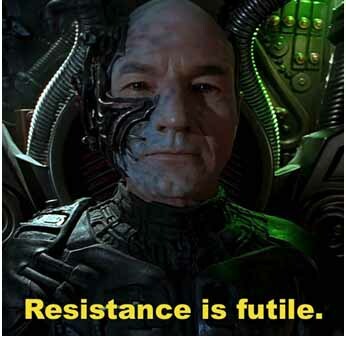 What I know from Unity teachings is ‘What we resists, persists.’ So perhaps resistance really is futile. But that doesn’t mean that we have to lie down and be assimilated or accept everything that happens. None of us should turn the other cheek when we see harm being done to another or to ourselves. What it does mean is that, thanks to quantum physics, if we continually place our focus on what we don’t want, we will continue to get more of what we don’t want. While resistance is usually our initial response when confronted with something we perceive as negative, it is more powerful to embrace what we do want than to resist what we don’t want. That sounds simple, but is harder than it seems. I keep seeing posts on Facebook to ‘join the resistance’, which I guess means to resist whatever our president-elect wants to put into place. I agree, there is much about him, his cabinet and his demeanor that I don’t like. He has continually demeaned women, handicapped, Muslims, Mexicans….I could go on and on. The next four years are going to be challenging, for sure. I know many of us will be called upon to act in ways that many will feel to be in resistance to our president. I think as long as we are holding to our vision of a world that embraces all people and stand up for that belief, we will be focusing on what we choose rather than what we reject. That’s my plan anyway. It won’t be easy and there will be times I forget and get into resistance and negativity….when I do, remind me of where I should be placing my focus: on love, on acceptance and on standing up for all humanity. I am holding a vision for a world that works for everyone. Will you join me? Lobster is on my list of favorite foods, but I doubt I would ever want to become one. Oscar-nominated Greek director Yorgos Lanthimos (‘Dogtooth’) casts Colin Farrell, Rachel Weisz and Lea Seydoux in a surreal parable about a future world where people are forced to couple up or be turned into animals. David (Colin Farrell) whose wife just left him, has been thrust into the dreaded single status. According to law he has 45 days to find a suitable mate or be turned into the animal of his choice. The animal David chooses, should he not succeed in finding a partner, is the lobster. I will admit, this movie was weird. My husband found it too weird and wondered why the heck we went to see it. However, it was that very weirdness that made me absolutely love this film. I watch a lot of movies, and I particularly appreciate movies that don’t fit the usual predictable formulas, and I especially love movies that have something important to say. 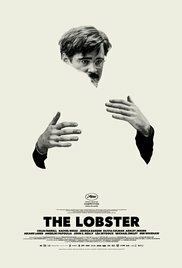 The Lobster is a commentary about the pressures our society puts on finding one’s soulmate. I grew up in a culture that touted marriage as the preferred state. Single women, especially, were looked down upon and labeled spinsters. I guess I could be grateful that at least being single wasn’t illegal. Yet I somehow felt like a total failure for being unable to find the right and perfect partner. In The Lobster, the right and perfect partner takes on a whole different meaning. It wasn’t just that each single person had to find a partner…that person had to have the same defining characteristic. In fact, except for David, none of the other characters had names. They were known for their specific physical trait. There was the man who limped, the woman who had constant nose bleeds and the man with a lisp. What were the odds of finding someone with those exact traits? The pressures were so great that one man deliberately smashed his nose so that he too would be a nose bleeder. I wouldn’t call the film a comedy and yet I found it to be quite funny. It is told in a serious deadpan manner that kept me engaged throughout. The first part of the film is about this alternate society and its rules and logic and is filmed in the hotel where the singles are imprisoned. The second part of the film is in the surrounding forest where a ban of renegades called the Loners live. The Loners have rejected the society’s rules, and yet have rather strict rules of their own. Here coupledom is shunned. One has to remain alone and celibate or they are severely punished and even maimed. No form of intimacy is allowed. David escapes into the forest and joins these Loners and there ends up finding a woman (Rachel Weisz) he finds attractive. I won’t spoil the ending, but suffice it to say….it gets more interesting and even ‘weirder’, if that is possible. If you like films that do not fit the normal formulaic and predictable patterns then you will love this film. I did! I'm attending the Bentonville Film Festival (BFF) this week. This is the second year for this festival that was begun by Geena Davis who is a champion for inclusion of women and diversity in film. She has actually done a study that shows how little women are used in front of and behind the camera. Even crowd scenes with extras do not have enough women to represent our society. She has taken the results of that study to Hollywood producers and writers and powers that be and shocked them all. Most of them have vowed to change. This film festival is all about inclusion and is the only film festival that offers full distribution for the winning films. Yesterday I attended a panel called Progress or Perfection and three films. All three films were well done and well received by the audience. Driving With Selvi, a documentary about a former child bride who escaped her abusive husband to become South India's first female taxi driver. The film follows her over several years and we see a courageous and strong woman who is determined to not only succeed, but to thrive. Wild Prairie Rose is a narrative film that started a bit slowly for me, but quickly won me over. Rose comes back home to the country from Chicago to take care of her ailing mother. She hopes to only be there 3 weeks and get back to her life. However, she meets a deaf man that changes her perspective on everything. What is interesting about this film is the director chose to cast a deaf man in the role rather than a hearing man who played deaf. Also, in the audience watching the film were a number of deaf people with an interpreter off to the side who signed for them during the film. The interpreter was two rows in front of me and I was surprised that it offered no distraction from my movie watching at all. The third film I saw yesterday, was clearing the best produced.....all three films were very good and I loved them all....but this one had more star power. The Great Gilly Hopkins stars Kathy Bates, Olivia Spencer and Glenn Close. This film had me laughing and even in tears towards the end....and I saw many people around me with tissues. All of the films had their film makers do a Q & A after the film, and even David Paterson, the screenwriter/producer of this film was in tears as he stood in front of us. The film was adapted from a novel written by his mother Katherine Paterson. He said the book is used in schools and was based somewhat on their family. It's about a 12 year old wise cracking young girl who has been shuffled from foster home to foster home until she meets Maime Trotter, played by Kathy Bates. Having been in foster homes myself until I was finally adopted at age six....I could identify with this film from the start. I'm off to watch a bunch more films today...and will try and post more about them tonight. So far, I'm loving this festival. Thanks Geena Davis for all the work you are doing to promote diversity in film. I had to do a second take when I first saw the movie title on a marquee. With Donald Trump running for President I first thought that this movie was about him. 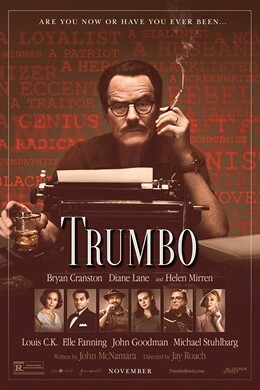 The film is called Trumbo, not Trump, but I think Donald Trump needs to see this movie. As well as anyone else who feels recent terrorist threats should cause us to set aside our First Amendment rights. This movie, directed by Jay Roach, is about what happens when a group of people in power let fear grip and rule at the expense of our human rights. It happened in America back in 1947, when Dalton Trumbo, played brilliantly by Bryan Cranston, and a number of other Hollywood screenwriters and artists were blacklisted and put in jail for their political beliefs. Those jailed were registered as members of the U.S. Communist party. This was a time in history, called the Cold War, when America stopped seeing the U.S. Communist party as an economic system or a legitimate political affiliation, and instead saw it as a symbol of the Soviet Union and a threat to our way of life. As I watched this film, I couldn’t help but think of what our country is going through right now regarding the Syrian refugees and pray that we don’t go down that path of fear. I can understand people being afraid, sometimes I, too, feel afraid. Yet fear should never trump our American rights, and this film helps to remind us of this truth. Some of our Republican candidates are operating strictly from fear. Trump wants to ban all Muslims from our country and deport the ones already living here. Bush and Cruz want to only let in ‘Christian’ refugees. Huckabee wants to put the refugees in ‘encampments.’ I guess he’s forgotten about what we did to the Japanese during WWII. The film Trumbo is different than our current situation in that the people affected were not refugees, but U.S. citizens, and yet if we aren’t careful we could find ourselves ‘blacklisting’ the Muslims that live right here in our country; who knows, maybe some of them are even screenwriters. After Trumbo got out of jail he lost his house, and was forced to downgrade and move his family. None of the major studios in Hollywood would hire him. However, he managed to find ways to write screenplays as a ghost writer. His films Roman Holiday, with Ian McLellan Hunter as the front writer, and The Brave Ones, written under Trumbo’s pseudonym Robert Rich, even won Best Picture awards. Trumbo had to watch the Award shows from the TV in his living room without being able to claim or take credit for the prize he so deserved. The blacklist began to turn around in 1960 when director Otto Preminger (Christian Berkel) announced he would credit Trumbo for his film Exodus, and Kirk Douglas (Dean O’Gorman) hired Trumbo to write Spartacus and put his name on the script. However, it was the action of a President that totally sealed the deal of ending the blacklist debacle. President J.F.K’s crossing the American Legion picket lines to see Spartacus sent a message to the country that this time of persecution was finally over. Trumbo is a film that reminds us of the freedoms for which our country stands, and how careful we must be to hold on to those, even in a time of fear and uncertainty. It also shows us how powerful the actions of a President can be in moving a country forward. It is definitely a movie that some of our Presidential candidates need to see, and soon! 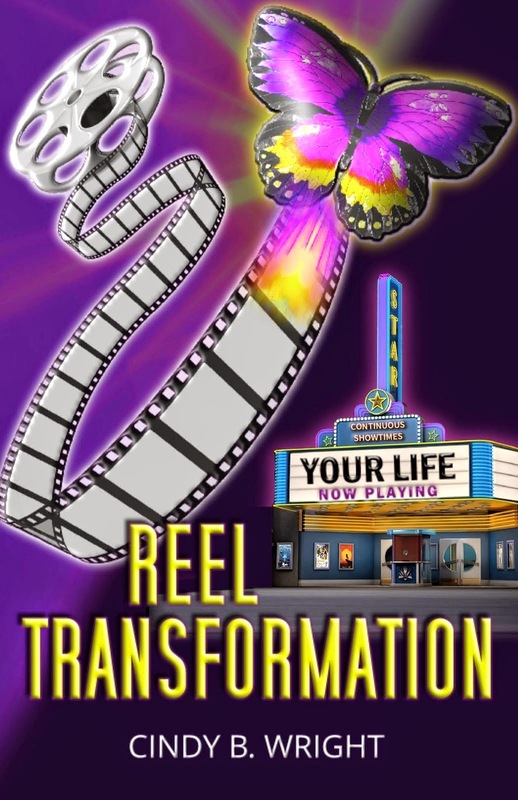 I received a wonderful email today from a reader of my book Reel Transformation: Your Life Now Playing.
" Yesterday I was on the phone with my stepdaughter and shared with her some of the passages from your book that affected me profoundly. The result was that she would like her own copy of the book. Thank you for the words that identify my struggle. I am stuck in the rut of habituation, living a mistaken identity, my inner dialogue has me stuck in self-doubt, and I am hanging out in the wilderness. Hopefully death and rebirth are not too far away. I anxiously await transformation and the journey home. The wilderness is not a fun place to be. I agree Virginia, the wilderness is not a fun place to be, but isn't it wonderful to know that it is just a phase of transformation you are walking through and home is never far away. While I’m not thrilled that Virginia is in the wilderness, I am glad that my book could provide her with some insight into her journey and her personal story, and grateful she let me know how much my book has helped her. Thanks Virginia. My blog has been neglected of late. I've been very busy in rehearsals for the Sun City Follies. However, I found this article which I'd like to share with you, and hopefully I'll be back writing my own posts soon....enjoy. Reprinted from Matthew Welsh's Spiritual Media Blog Newsletter. chance encounters is a love story aptly named Serendipity. Johann Wolfgang von Goethe describes this when he says. . .
to your current life circumstances. are on the right track =). 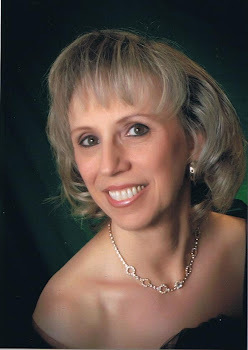 I am a Unity Minister and Author who loves movies and finding the spiritual messages in them, as well as in all of life.